Senate Republican and Democratic bargainers reached agreement late Tuesday to extend financing for the Children's Health Insurance Program for five years, a pact that if approved would avert an end-of-month cash crunch for the popular program. In a concession to Republicans, the agreement would phase out extra federal funds that have gone to states for the program since the additional money was mandated as part of President Barack Obama's 2010 healthcare law. Money for the federal-state program is due to expire at the end of September. The program provides health coverage to around 8 million low-income children and pregnant women. It was initially unclear how the agreement would fare in the Senate and the House. 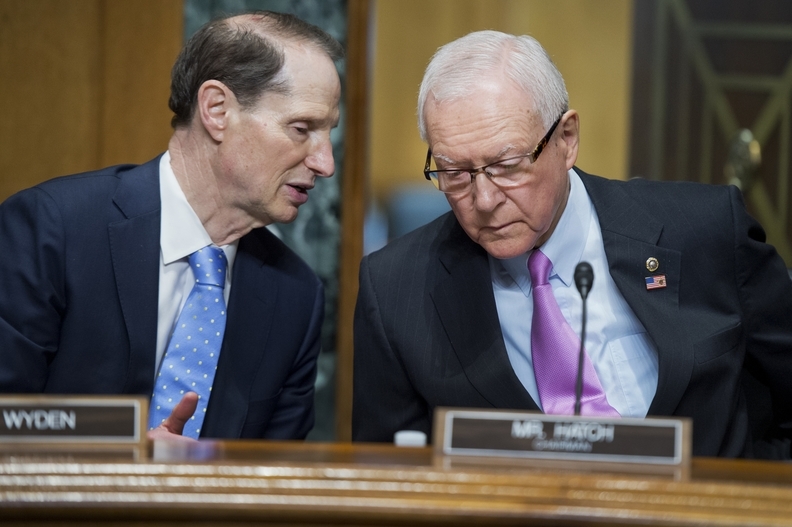 But the two negotiators — Senate Finance Committee Chairman Orrin Hatch (R-Utah) and that panel's top Democrat, Ron Wyden of Oregon — work closely with party leaders. In addition, having embarrassingly failed in this year's attempt to repeal Obama's healthcare statute, Republicans and President Donald Trump are eager for an accomplishment and would be unlikely to stymie the continuation of such a widely supported initiative. It was also unclear if the pact would move quickly and by itself through Congress, or become a vehicle for other, less widely backed legislation. In a written statement, Hatch said "Congress needs to act quickly" to extend the program. Without providing detail, Hatch said the agreement would give states "increased flexibility" to run the program. He also said lawmakers will "continue to advance this agreement in a way that does not add to the deficit," suggesting that a compromise on how to pay for the extra funds may have not yet been found. Wyden called the agreement "a great deal for America's kids." The federal government pays around $7 billion annually for the program. States by law pay a small share — until recently, an amount ranging from 15% to 35% of costs. But under Obama's law, states each received an additional 23% share from Washington. Many Republicans, particularly conservatives, have chafed at that added amount. Under the agreement, the full 23% share would continue for two more years. It would phase down to 11.5% in 2020 and the extra money would disappear completely the following year. The details were provided by a Senate aide who spoke on condition of anonymity because full details weren't released.